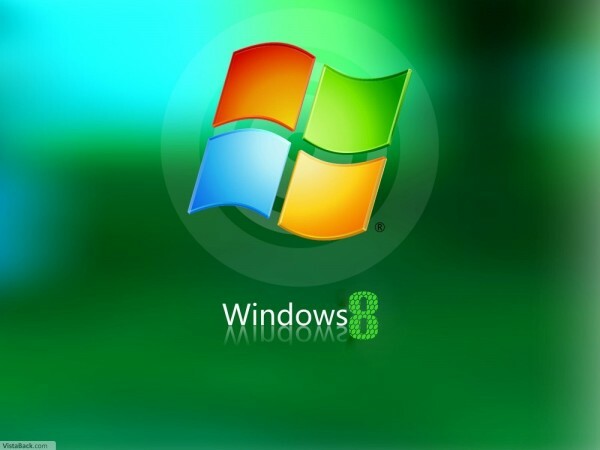 Windows 8 may be in the spotlight right now after Microsoft showcased more of its upcoming operating system (OS) during the recently concluded Mobile World Congress (MWC), but most companies are likely to continue to look to Windows 7 to power their business. Al Gillen, program vice president of system software for IDC, said that business and enterprise users will continue their existing upgrade to Windows 7 and not wait for Redmond's latest OS iteration to be launched later this year. This is because the greatest uptake for the upcoming OS will be among consumers or Windows tablet users, since "that is where the greatest amount of change and improvement is incorporated into", he explained. Elaborating, he noted that for the average business user that spends much of his time using Microsoft Office and other business applications, a touch-enabled environment--one of the key features of Windows 8's Metro UI (user interface)--brings little productivity enhancements. Those who might benefit from these new features to the operating system would be mobile workers such as healthcare employees, insurance adjusters, field technicians, and etc, Gillen added. However, their productivity will be enhanced only if the applications they need and use are upgraded to run natively on the OS and are fully touch-enabled, the analyst qualified. "[As such,] we expect Windows 7 to continue to be heavily deployed by business users even after the launch of Windows 8," the executive stated. Two organizations ZDNet Asia spoke to reiterated that Windows 7 deployment is their main priority currently. Ong Leong Seng, chief architect & director at Integrated Health Information Systems (IHIS), for one, pointed out that the organization is in the midst of rolling out Windows 7 to all its hospitals, so its IT environment currently supports both Windows XP and Windows 7 for desktop and laptop devices. He noted that upgrading operating systems is a "fairly long process" for organizations in the healthcare industry, and it would be transitioning its back office users first. In fact, IHIS was pushed into making the migration to Windows 7 because with support for XP coming to an end, this leaves them "little choice but to upgrade", he said. Ong added: "We are not waiting for Windows 8, but will be exploring desktop virtualization to help smooth subsequent OS upgrades in the future." Business intelligence (BI) software vendor QlikView is another that had gone ahead with deploying Windows 7 within the company. Terry Smagh, vice president of Southeast and North Asia at QlikView, said it has supported the existing OS since its launch in 2009. This support was based on how closely the company works with Microsoft in ensuring that its products were always updated and supported the latest Windows version, he stated. That said, the company has embraced HMTL 5 for its products, which Smagh said smoothes the crossover of its BI software, also known as QlikView, to Windows 8 in time to come. "As Windows 8 is scheduled to be released soon, our move toward focusing on HTML 5 for end-user experience over the Web allows cross-platform support, be it on Windows or even Apple's iOS platform, which is dominant in the market," he said. Microsoft did not directly comment when contacted, but pointed ZDNet Asia to its Web site showing customers that have adopted Windows 7 in their organizations. Rich Reynolds, general manager of Windows commercial marketing at Microsoft, did earlier urge companies to continue and accelerate deployment of Windows 7. In a report last year, he said waiting for Windows 8 to launch might lead to security risks for businesses since official support for Windows XP will end in April 2014.